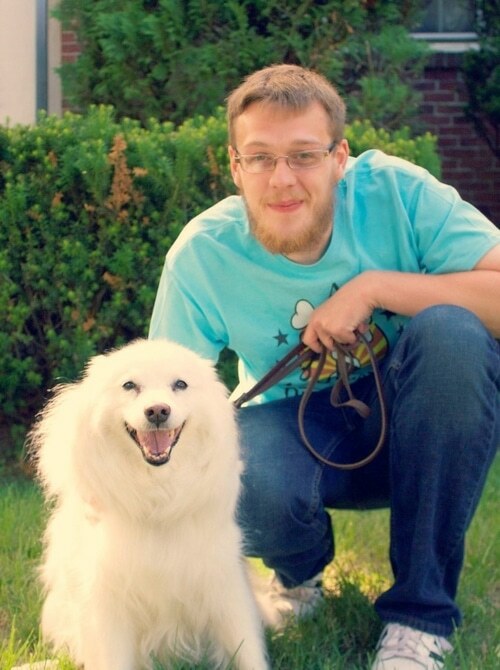 Ted’s passion for animal care began in 2005 when he started fostering homeless animals through the MSPCA. In 2012, after a career in healthcare client service management, Ted decided he did not want to spend his days at a desk anymore. Instead, he wanted to combine his commitment to client services with his love of pets and founded Above & Beyond Pet Services. 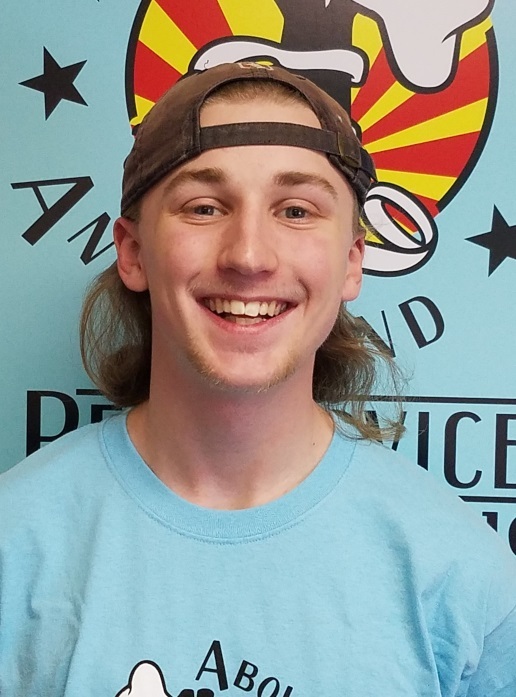 His vision was to offer a service that felt personalized, one that was there when you needed them with employees that would build a relationship with your pet. Ted believes in hard work, doing what is right, and helping people and pets in any way he can. Growing up, Holly had an abundance of animal siblings. She currently resides with two cats: Diego and Balerion. She loves all animals great and small, but is especially fond of cats and greyhounds. 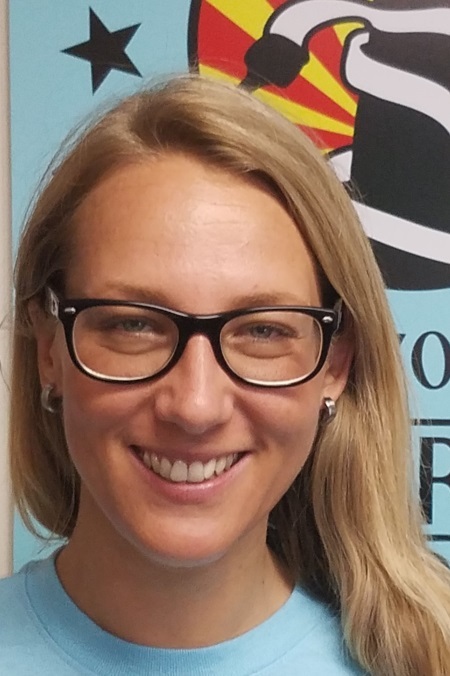 Holly has years of experience as a professional dog walker and pet sitter. On her off hours she can often be found painting, reading or volunteering at a local cat shelter. 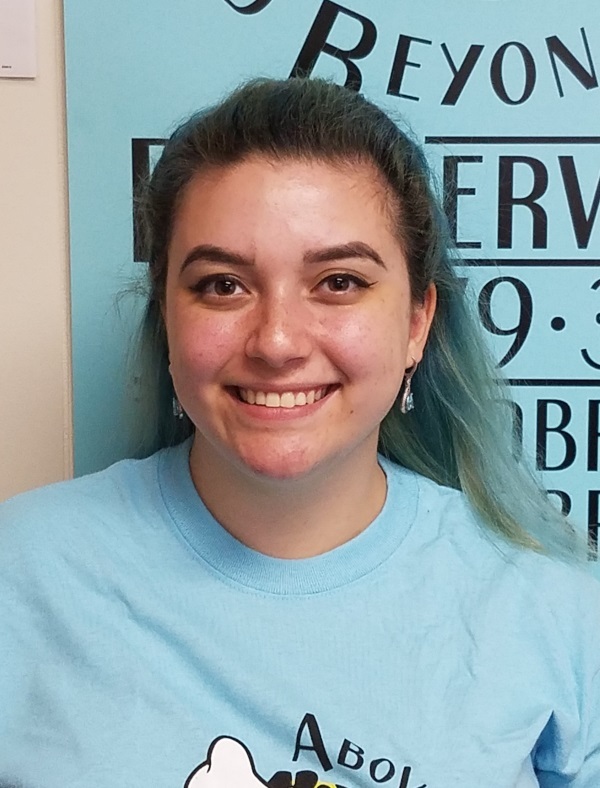 A California native, Khristy has been working towards a Bachelor’s of Science in Animal Science and moved to Massachusetts to further her education. She has been working with animals professionally for over four years now. Having involvement with animals and helping those in need is what matters most to her. 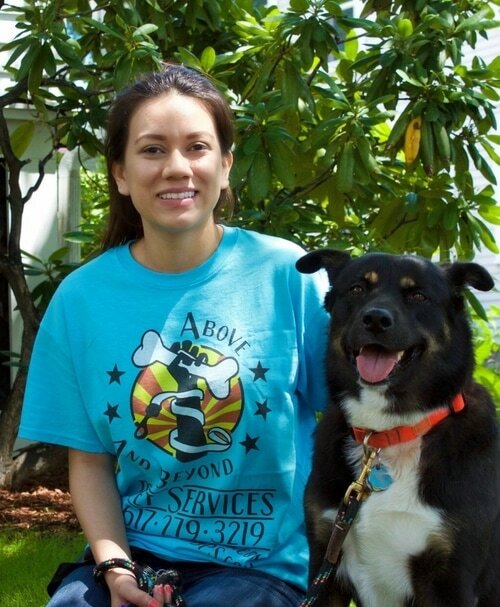 Maria is a passionate caregiver for people and animals alike. 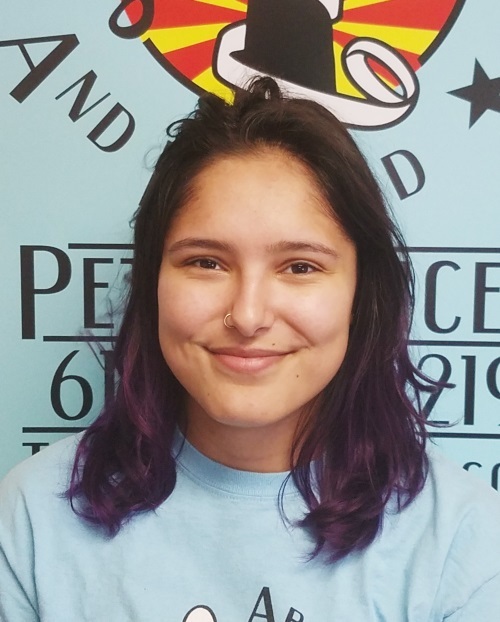 She is currently training to be a nurse, and brings her meticulous, caring attitude to the field when taking care of pets. Rachel has enjoyed the company of animals her whole life and owns two lovable bunnies. 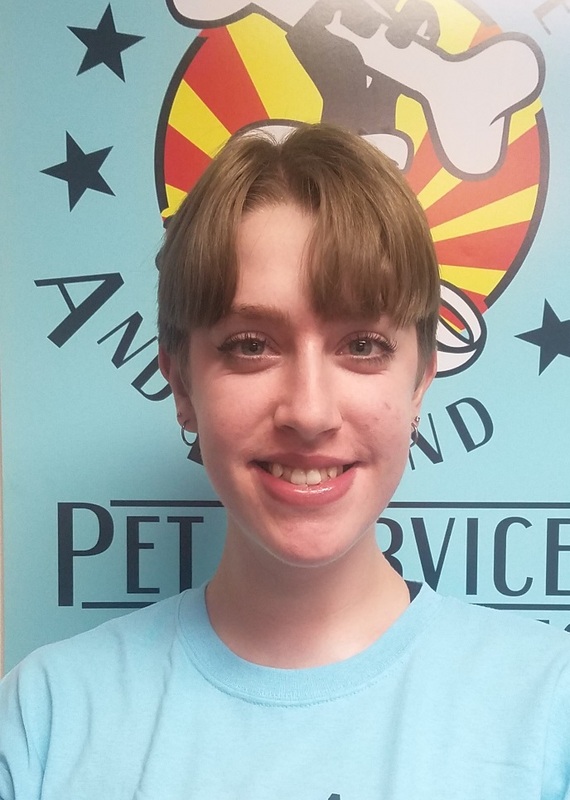 She decided to pursue her passion for animals and is currently pursuing her degree as a Veterinary Technician. 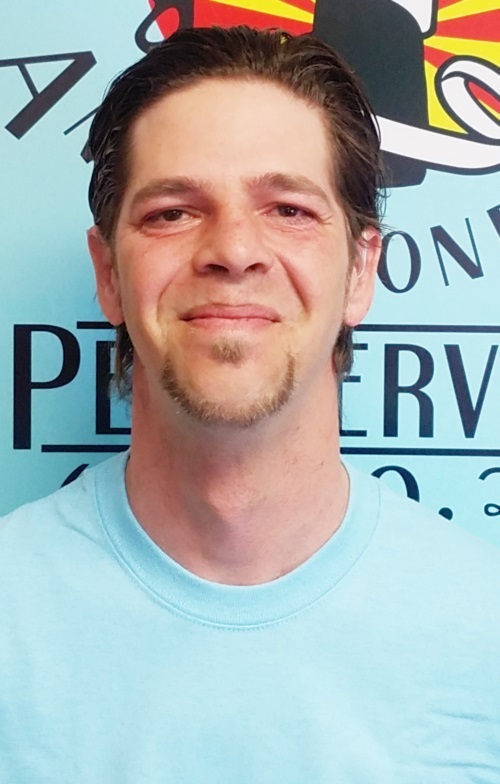 Nic is from the Boston area, and grew up with cats and dogs his entire life. 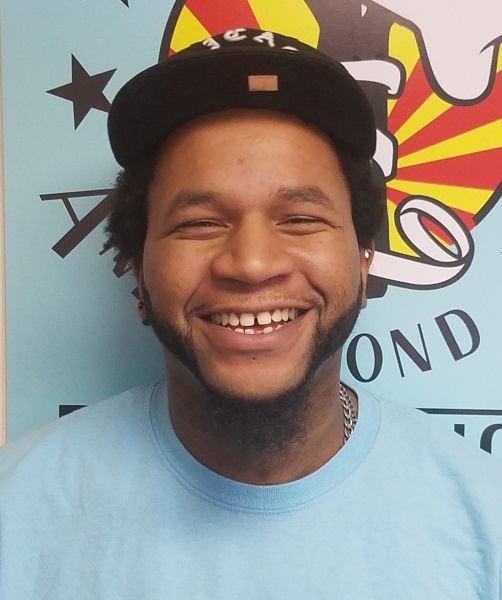 He has two rescue cats at home, and loves spending the day outside with all his other animal friends at Above & Beyond! Carissa has been an avid animal lover since day one. She grew up having cat siblings and a dog rescue named George. 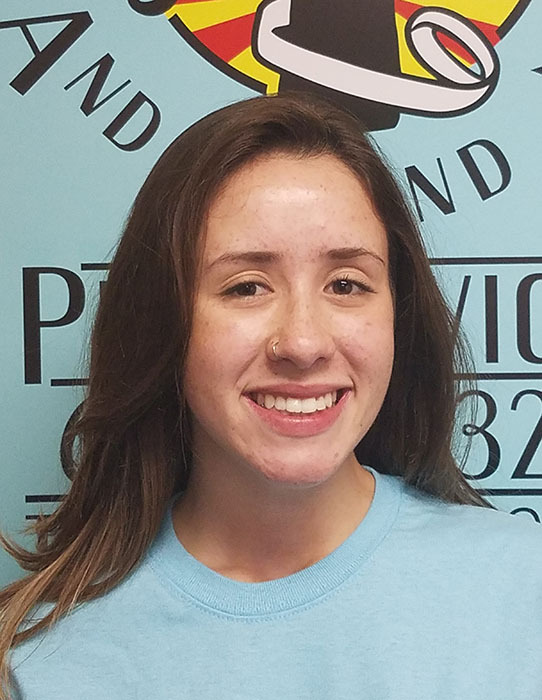 She took her love of animals and animal care into her high school experience, attending Essex Agricultural and Technical High School and majoring in animal science/vet tech. 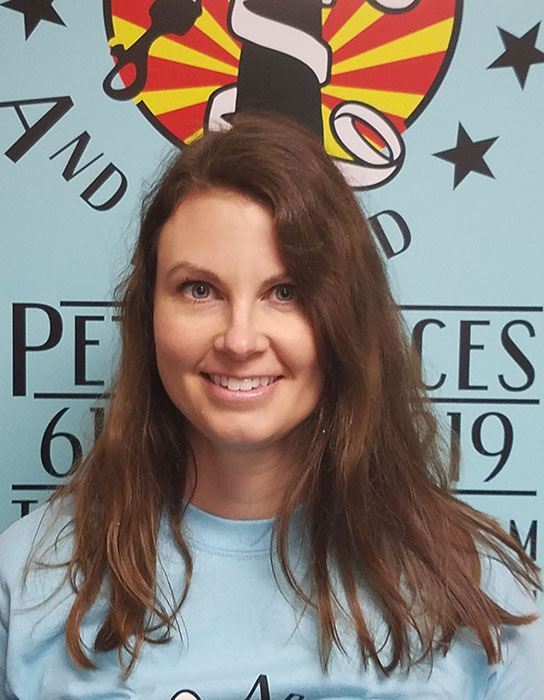 She has experience caring for all sorts of animals: cats, dogs, livestock, and reptiles, to name a few! In her free time, Carissa is usually out on hikes with her dog, kayaking, or having a lazy day with her cat Harry. Aleks has a great passion for all kinds of animals. Originally from Poland, she grew up in a house with a dog, cats, multiple fish tanks, and a bird! Each summer, she vacationed in the lake region where she developed a greater love of nature and its creatures. Since moving to the United States, her house has always been full of beloved furry friends. Currently, two wonderful cats are a part of her pack. She enjoys being able to fulfil her passion of taking care of all creatures, big and small. Annie has been a pet lover since childhood. 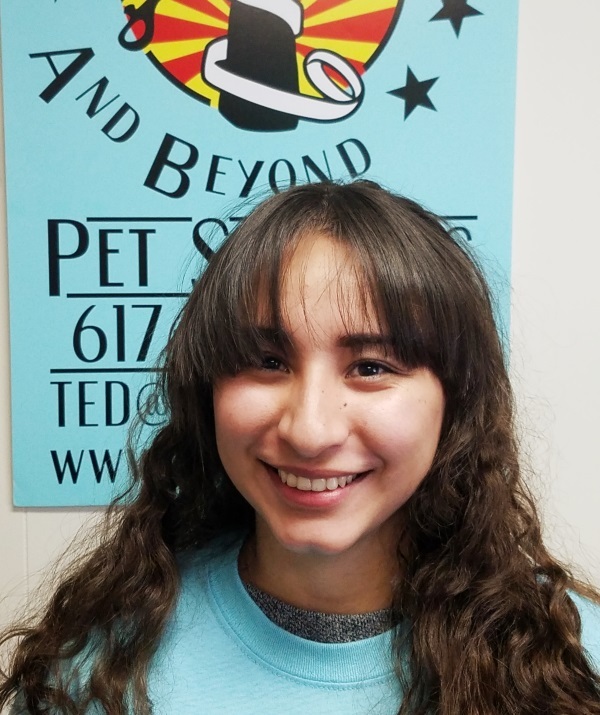 Her parents wouldn't let her get a dog, so to make up for it, she adopted gerbils, hamsters, guinea pigs, and even a Burmese python! In adulthood, Annie adopted a Boston Terrier Beagle mix rescue named Wilma, who was the love of her life. 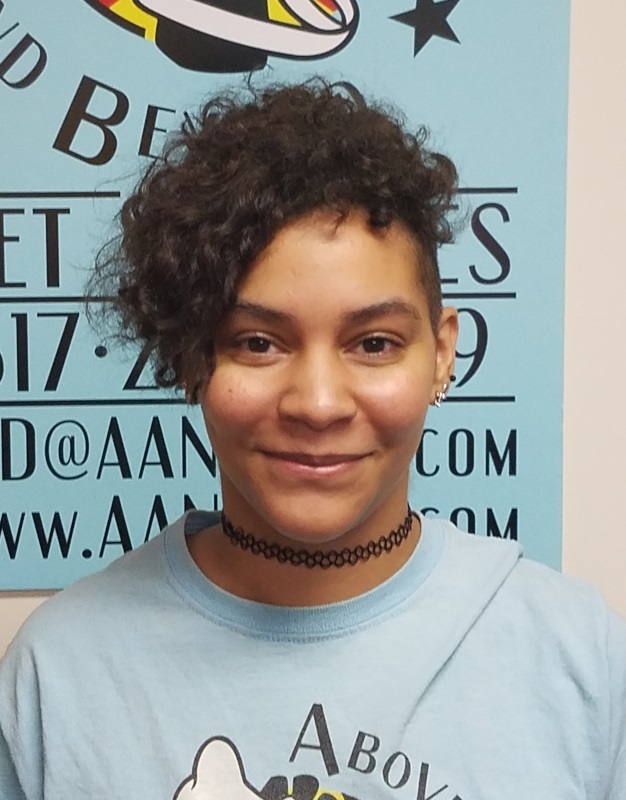 Annie knows first hand that fur-babies are part of the family, and understands that trust and respect are the foundation of building a lifelong relationship with clients and their pets. A Belmont Native, currently pursing training to be a VetTech. 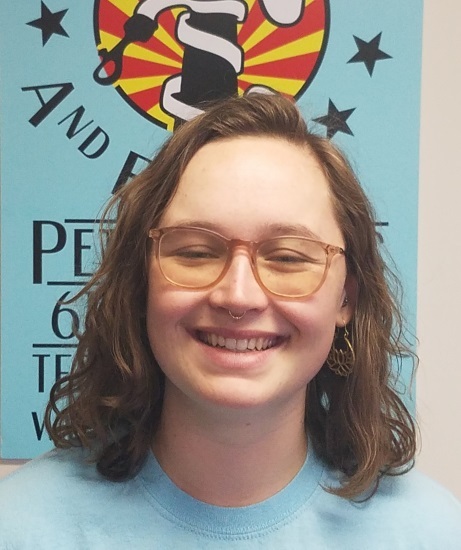 When not in school, Ayla is usually playing with client pets, her own dog, or her bearded dragon. Rebecca grew up with dogs and ever since has had a passion for taking care of animals. 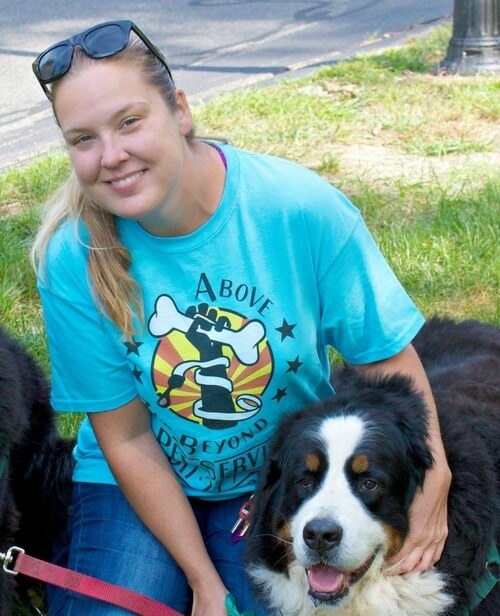 She brings years of experience working with pets to the Above & Beyond team and is thrilled to be doing what she loves. Her goal is to create a strong bond with the animals she works with; giving them the most she can from her interactions with them. 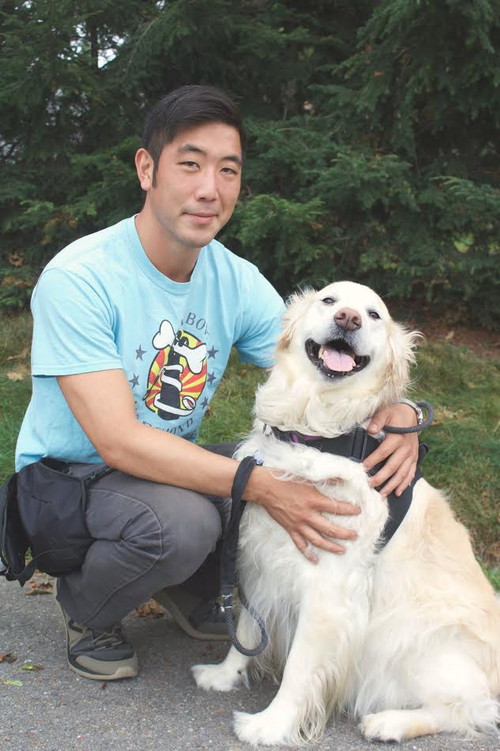 Billy has always been an animal lover and is thrilled to be working with them every day. He has two dogs of his own; an English black lab and a miniature dachshund, that he frequently brings to the park for playtime. Billy is working towards his dream of being a dog trainer or canine officer for a local police department. 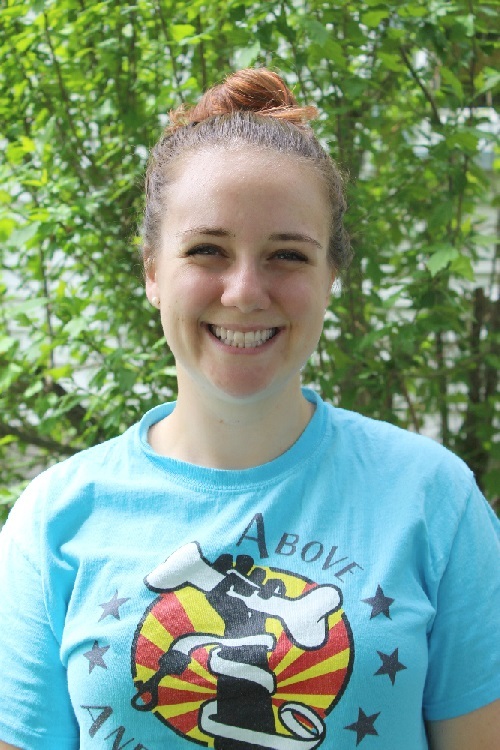 Caroline is a Rhode Island native who grew up with Dalmatians, Basset Hounds, and a lop-eared bunny named Duncan. Caroline is a true softie for all animals, especially puppies! Chelsea has always loved animals. She grew up with cats and dogs, and has been pet-sitting for neighbors and friends since she was 12 years old. 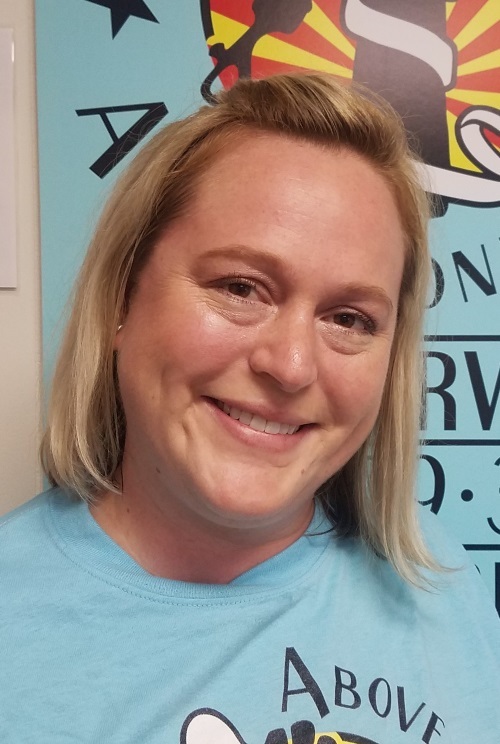 She has volunteered with animals for over a decade - walking shelter dogs, managing a cat shelter, and finding forever homes for adoptable pets. 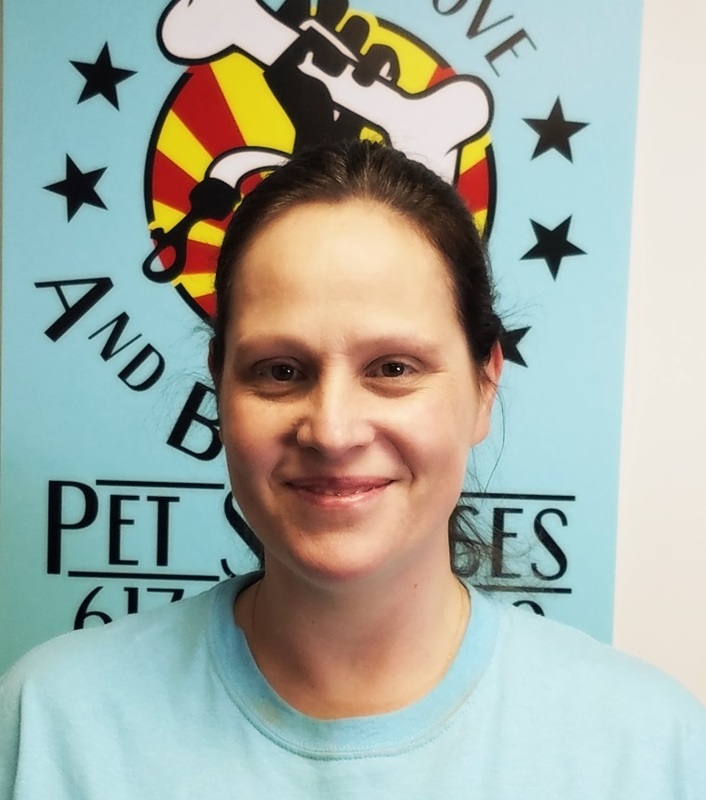 Through her work at pet boutiques, she understands the needs of pet owners and is familiar with a wide range of pet products. 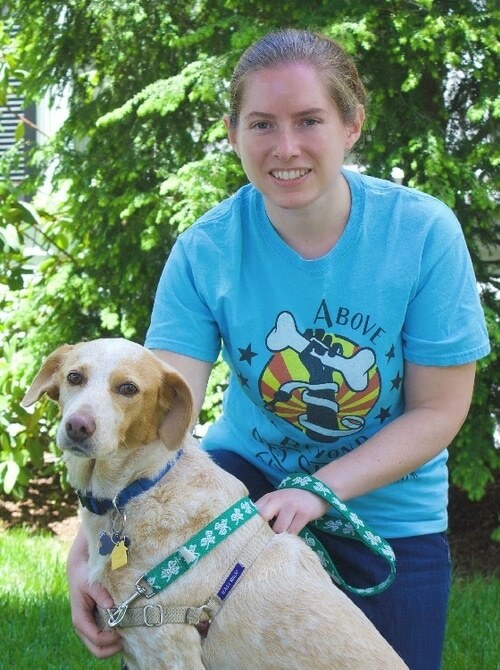 In her free time, Chelsea cuddles her two rescue cats, hikes, and volunteers at Mass Audubon Drumlin Farm. 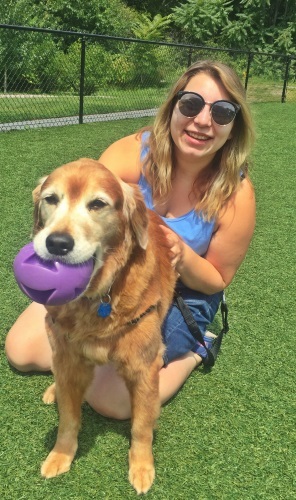 Courtney, an Arlington native, has a lifelong love of dogs and worked as a pet au pair in California for years before returning to Massachusetts. Her experience with dogs range from elderly dogs to playful great Danes, from au pair to pet photography. Emily grew up with cats and has always had a keen love for animals. 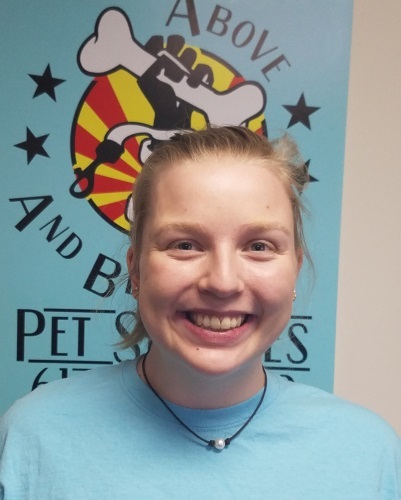 She started working with animals at the age of 13 through volunteer work and recently graduated with a Bachelor’s Degree in Veterinary Technology. 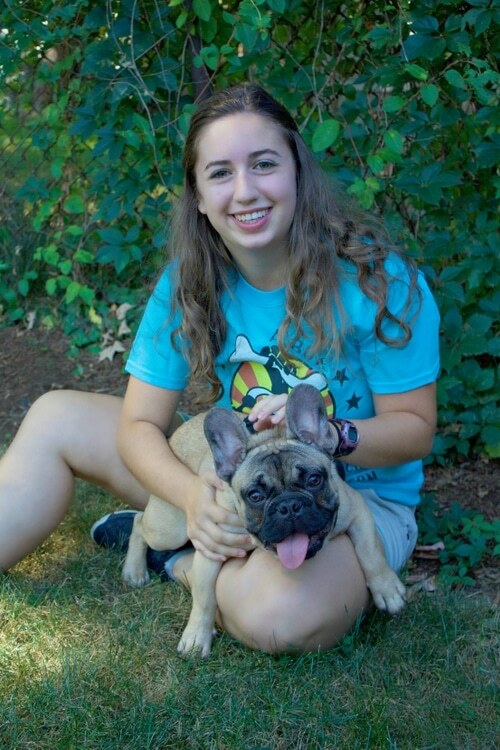 She has worked with small and large animals in the medical field and has held internships in multiple specialty animal hospitals around the Boston area. 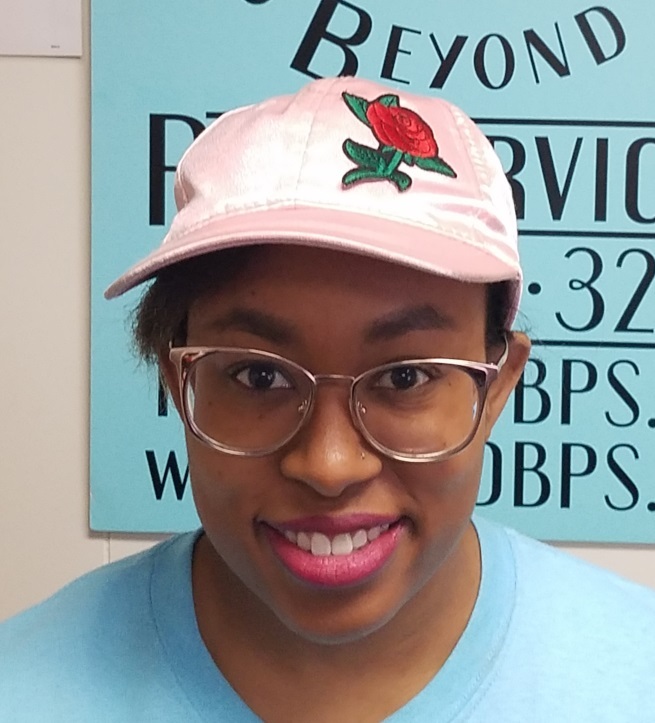 She joined our team in her search to find work she was passionate about that complemented her long term goal of becoming a Veterinarian. 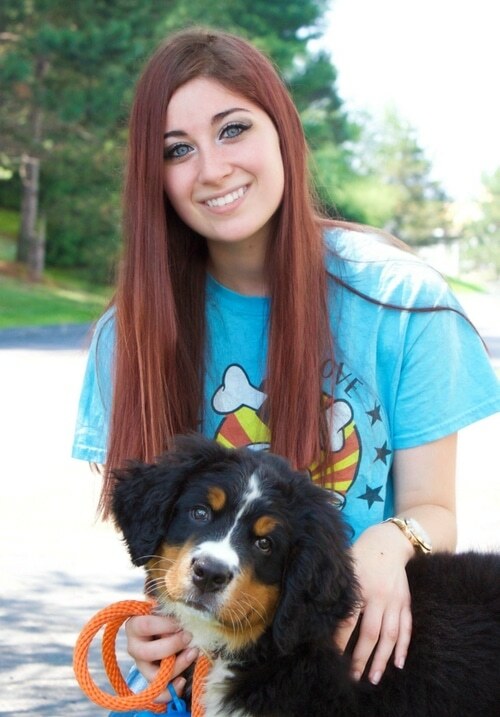 Erika was born and raised in Massachusetts and is known amongst her family and friends for her love of animals. She grew up with a cat, and has also cared for dogs, fish, and reptiles. Most animals are quick to warm up to her as they can sense her caring and empathetic nature, and she knows how to respect their boundaries and show that she is a friend. Eva spent much of her childhood at her grandparents' farm, interacting with goats, pigs, chickens, dogs and cats. She has always been a dog lover; however living in a big city allowed to her only small pets such as guinea pig, hamsters, and parakeet named Joseph. Eva is always excited about meeting new dogs! 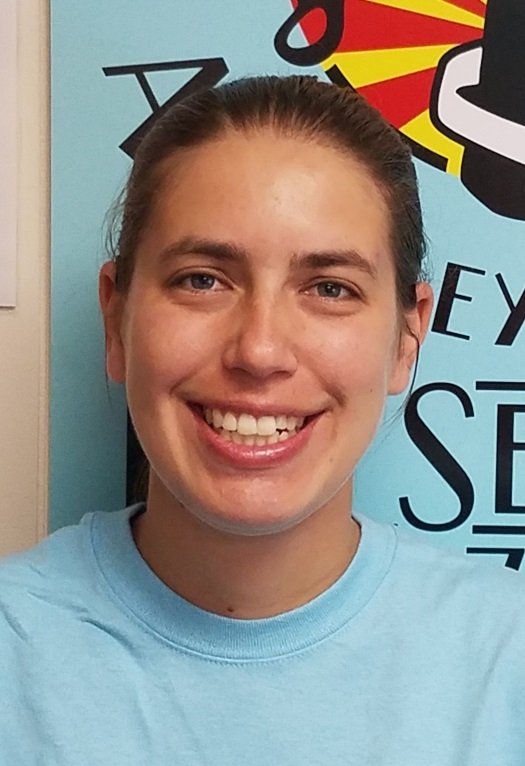 Jordan, a Vermont native, received her Bachelors of Science in Animal Science before moving to Mass to work at a zoo. There she got experience working with a large variety of animals. Then, Jordan decided to make the change to pet care as she is a life long dog lover. She has been caring for pets professionally for over five years. She has a dog of her own and a tortoise. She also lives with two other dogs, a cat, a rat, and chickens. Josh has grown up with pets his entire life, and loves to watch animals in their natural state, whether that be playing or just lazing around. He has a cat of his own, and hopes to get a dog soon. He finds working with animals incredibly rewarding. There has never been a time in Kat’s life that she did not own pets: from cats and dogs to gerbils and chickens! 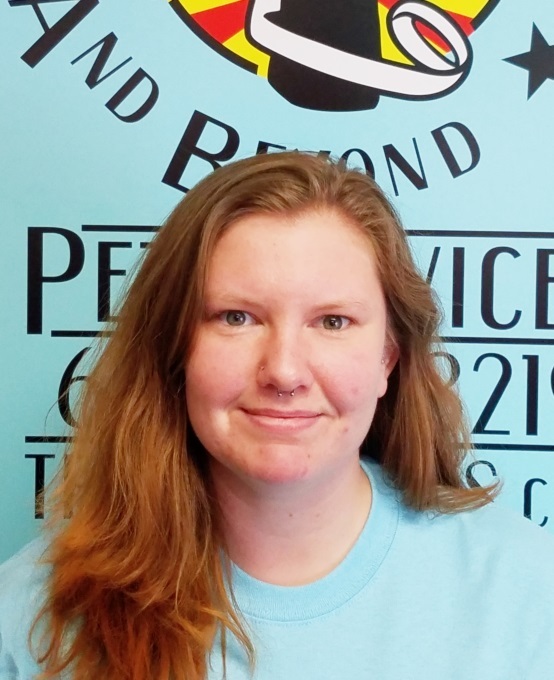 After working in the pet industry since 2017, Kat made the switch to Above and Beyond so that she could have a more individualized, one-on-one experience with animals. She looks forward to caring for your pet! Keith is a proud member of the A&BPS team. Keith grew up around dogs his whole life, and has owned both tarantulas and snakes as well. 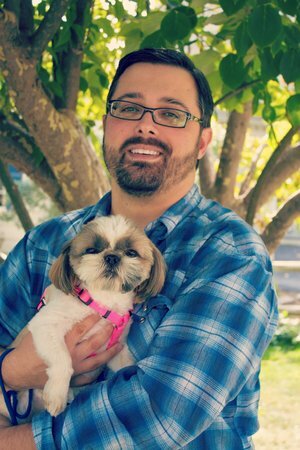 Keith now brings years of professional experience from other dog walking/dog day cares to the team. In Keith's spare time, he pursues poetry and drawing. Luke has been a dog lover ever since he was young. He grew up with a yellow lab named Chowder, who was his playmate, his protector, and his best friend. Luke is always excited to meet, walk, and play with new dogs at any chance he gets! 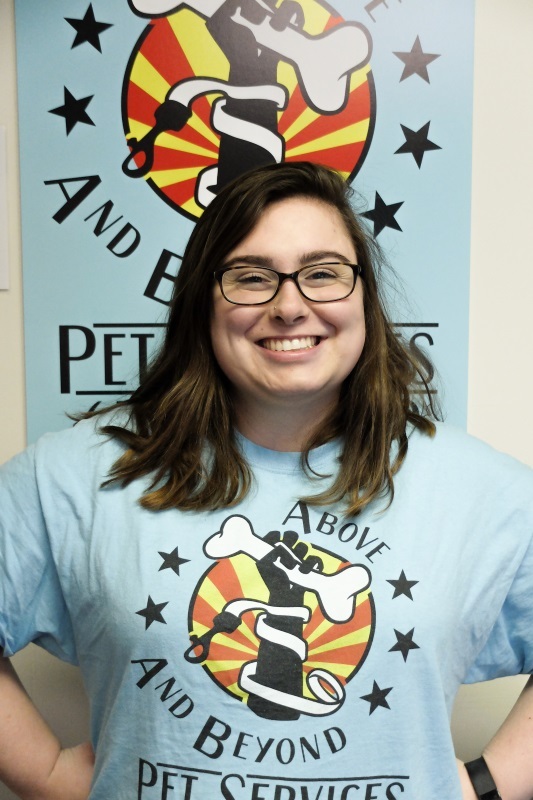 Molly, a Waltham native, has always been an animal lover. Growing up with a yellow lab at her side, she was always surrounded by the dogs of her family and friends. Molly is forever excited to befriend new dogs and cats! Natalia is not just a dog and cat lover, but a self described animal fanatic! Growing up with hamsters and fish made her eager for the day she finally got her very own dog, which changed her life forever! She is studying to be a vet tech and hopes the furry friends she meets throughout her journeys may train her just as much as she trains them. 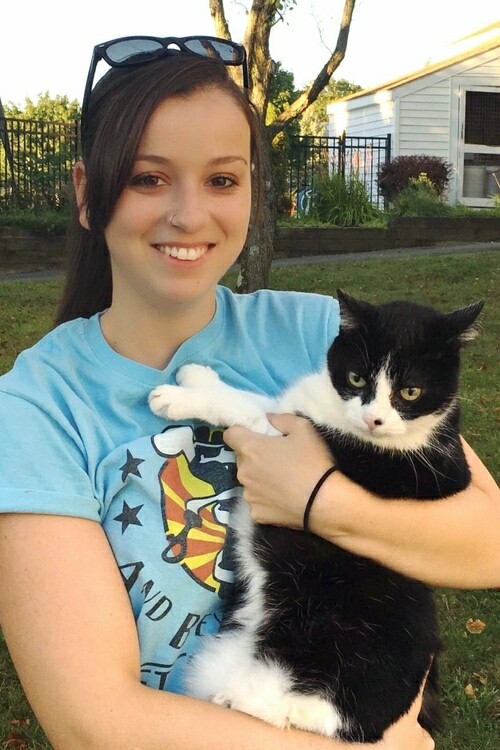 Nicole started with A&BPS after starting her pursuit to be a Vet Tech. She brings a true love of animals and eagerness to help to all of the pets lucky enough to spend time with her. Throughout her life, Rianna has cared for many different animals, from farm animals to domestic pets. She has three cats of her own: Bloo, Ginger, and their daughter Binx. She is a huge fan of photography and finds animals to be her best models. She is currently studying marine biology. Rosie has been an animal lover starting at a young age. Growing up, Rosie loved spending time with farm animals at her great grandparents' ranch. She grew up with a dog and a bunny, and now has a dog and cat of her own! Rosie loves meeting new pets and is looking forward to taking care of yours! 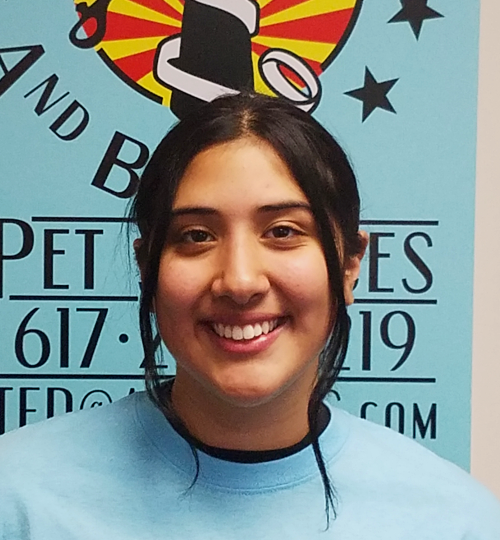 Growing up in Waltham, Sima has been surrounded by animals her entire life. Her love for animals inspired her parents to let her buy her own pets at 9 years old including her fish, birds, rabbit, and dog! Her love for animals is what brought her to A&BPS. Winter grew up taking care of his beloved dogs and cats, who taught him compassion and responsibility. 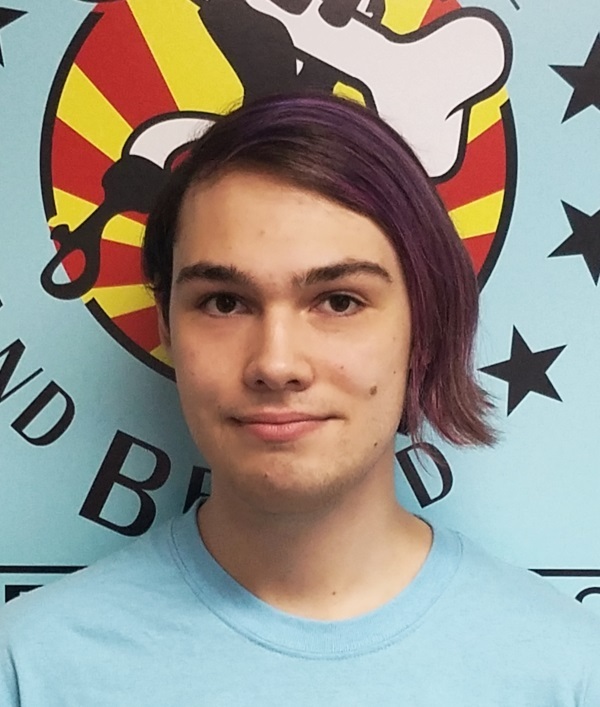 As an adult, he has both an attention to detail and creative mind that keep the Above & Beyond website looking its best.